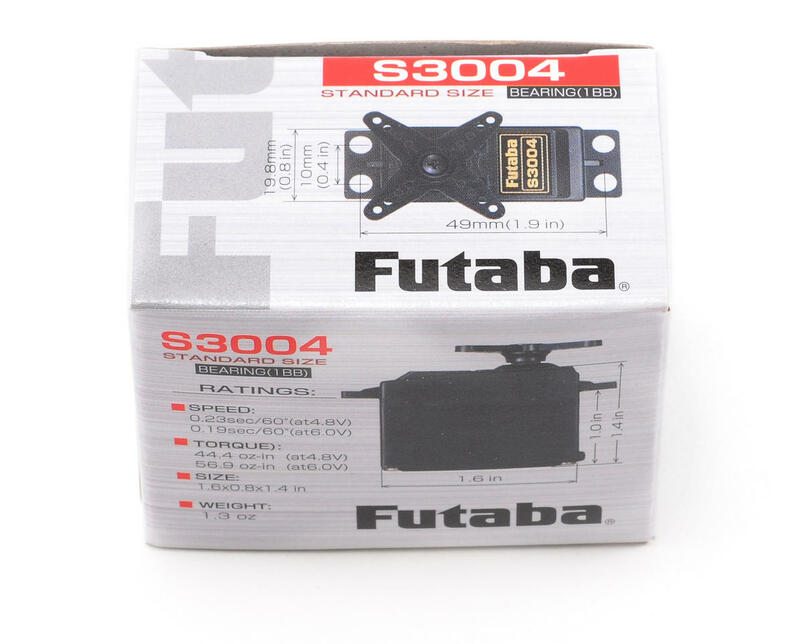 This is the Futaba S3004 Standard Ball Bearing Servo. 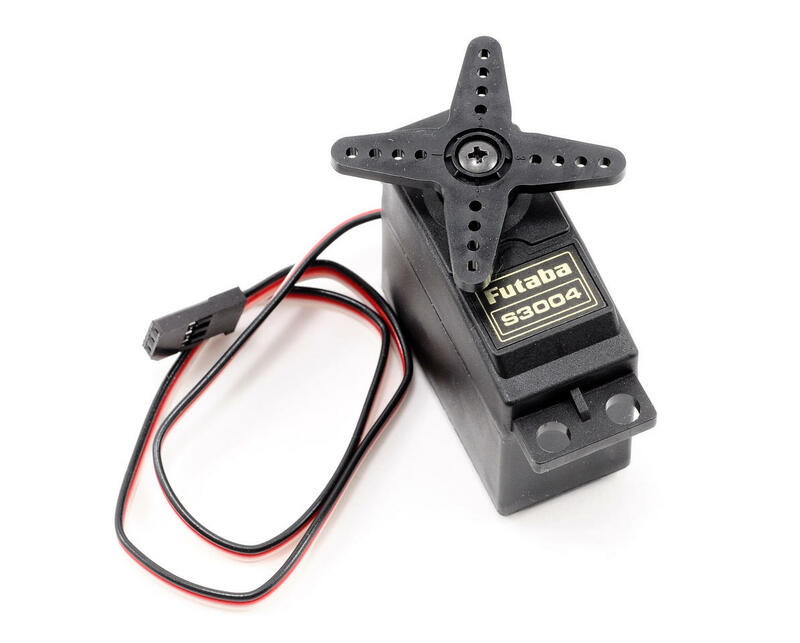 This plastic gear servo is recommended for light duty applications in cars and boats. This servo can produce high current draw from your batteries. Make sure your batteries are capable of delivering sufficient amps.